First of all you must be wondering what is a tangible product? 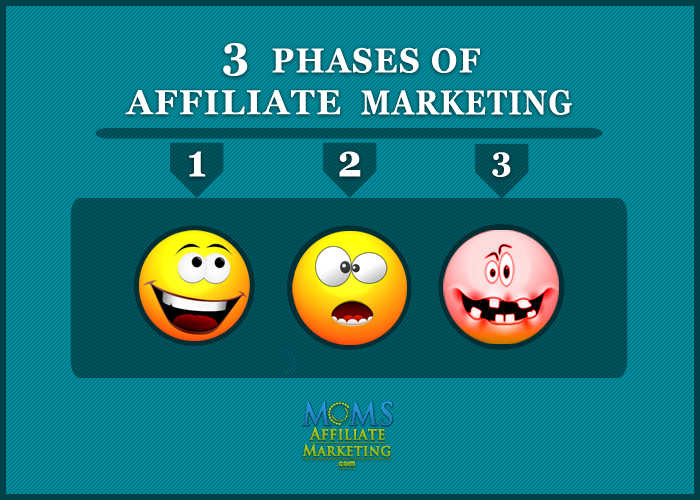 So now that you’ve decided to work online as an affiliate marketer, you need to decide on what sort of products you will promote or market. Will you promote tangible products or digital products or maybe a little of both? First of all you must be wondering what on earth is a tangible product and what is an intangible product? What Is A Tangible Product? A tangible product is something that can be physically touched or felt with our fingertips. What is an Intangible Product? An intangible product is something that can’t be touched or felt. When it comes to Affiliate Marketing there are many marketers who refuse to promote or have any dealings with physical products. They would prefer just promoting digital products because they think that it’s too much trouble to deal with physical goods. On the other hand there are Affiliate Marketers who only promote tangible products. Finally, there are Affiliate Marketers who have very successful online businesses promoting both tangible (physical goods) and digital (something that can be downloaded off the internet). With respect to affiliate marketing on my own websites, I have some websites that I promote strictly tangible products and on other websites I promote strictly just digital products. I also have a few sites that I incorporate both digital and tangible products. For example, let us say that you have a gardening website because you love to garden and you write about your gardening experience on your blog. In the process of writing about your gardening experiences you have a favorite tool that you use and you want to talk about what you like about it and things you don’t like about the tool. You can then promote that specific product/tool on your blog post by putting in your affiliate link. So by doing this you are promoting or marketing a tangible product which would be the tool you talked about in your blog post. That’s not to say that you couldn’t also promote a digital book on the same page. Let’s say you found a downloadable digital book from ClickBank on composting or maybe a Kindle book from Amazon about composting, this would be a relevant digital product that would go perfect on your gardening blog post on composting. So you see both tangible and intangible products can go hand in hand on your website. When it comes to tangible products there are actually 3 basic ways that you’ll be able to deal in tangibles if you would like to totally focus only on those or maybe supplement these with your digital download links. 1. The first would be to become a seller of tangible products yourself. 2. The second option is to become a seller of tangible products by using a dropshipper. By using a dropship account, you’ll often have to pay out a fee in order to get started with your own personal website – for example, wedding accessories. The client will likely find your website online and place an online order, paying you for the tangible products that they purchased. You will then turn around and pay the agreed percentage of your earnings to the dropship company and they will ship the tangible product to your customer direct. but you still have to deal with customer relations, even though you are just the middleman. 3. The third option you have for selling tangible products is to become an affiliate marketer of tangible products. Holidays aren’t the only time when you can promote tangible products and make money. If you open an Amazon Associates Account, you’ll be able to sell anything on Amazon.com using your specific Amazon ID and collect commissions. In addition, you can acquire an ID from LinkShare or ShareaSale and promote tangible items from flower boutiques, costumes,tools, Wal-Mart, and perhaps even travel companies (like luggage)! 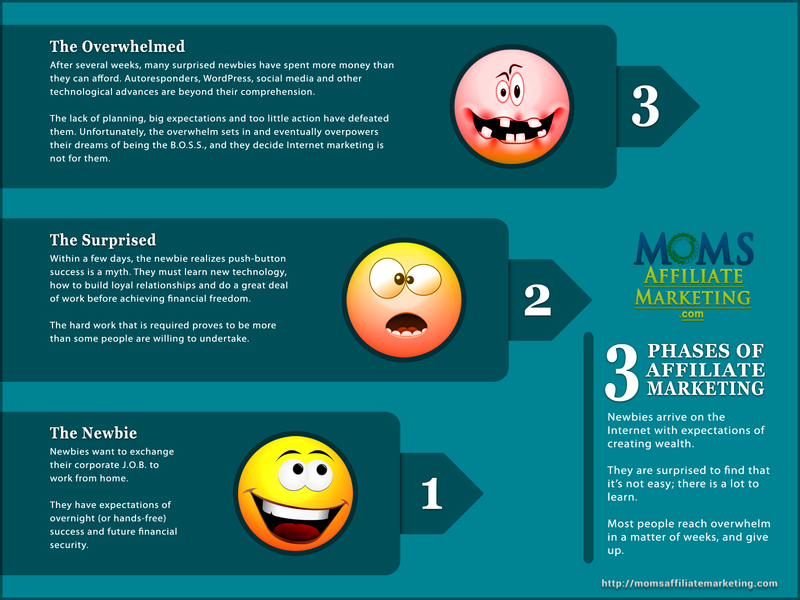 You need to learn the best practices for affiliate marketing and what is the best way to promote tangible products. My Conclusion to What is a Tangible Product when it comes to Affiliate Marketing? To sum all this up I would recommend that as a beginner to online marketing try your hand at both tangible and digital products and see which you like better. As for me, I do a little of both but I make most of my online earnings promoting tangible products. The reason I believe this, is that once your audience begins to trust you and your website, they will buy through your website as long as you are helping them find the products that they are looking for and giving them more information on those tangible products than they would be getting from the online store itself. If you are a total beginner and need a step by step course I highly recommend Pajama Affiliate Learn to Blog for Money. I hope this post has answered your question on What is a Tangible Product when it comes to Affiliate Marketing? If you are still not sure than leave your questions below and I’ll answer them as soon as possible. Next post I’ll be discussing digital products and how you can make money with them. 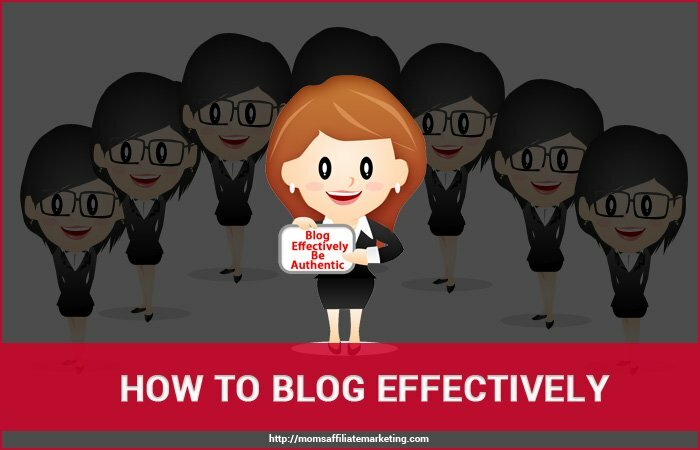 If you have been asking yourself how to blog effectively when the internet seems to be overloaded with countless blogs and websites than you might find these tips useful. There are hundreds, if not thousands, of topical blogs on the Internet. You might want to start a blog of your own and wonder how to go about it. At first glance, it seems there is some pretty stiff competition; how do you intend to stand out with your blog? For starters, use a different theme or if you’re going to use the same one, dress it up to make it look unique. You can gear up any blog theme simply by varying the colors, including exceptional graphics, and knowing where to place your advertisements. Content can be served up in various forms. While blogging was once considered a means of journaling through the written word, it has blossomed to a higher level. Bloggers are building new relationships with the use of audio and video. Offer a combination of each to make your blog exceptional. Competing bloggers may understand the popularity of video and audio, but may not own the necessary equipment to create either one. Give marketers permission to share your free audio and video products. Mention your blog URL throughout your presentations to lead new viewers and listeners back to your web properties. When offering an opt-in freebie, up your game and share something super special. It should be a no-strings-attached gift that isn’t being offered by hundreds of other bloggers. If it is, get busy creating a brand new handout that your target market needs and wants. In short, your blog should be the only place on the Internet that offers this gift. Since it is a no-strings-attached freebie, don’t make people jump through hoops to get it. This includes NOT making them subscribe to your list. Remember that you can insert a subscribe page inside your free gift to remind readers to come back to your blog and join your list. If the gift is truly original and informative, people will want more of your stuff and won’t have any problem subscribing in the future to get it. Your blog is a means of building relationships with readers, but only if you treat them with care. Your readers are an intelligent bunch; therefore, don’t try to be something you’re not. Be genuine. Readers recognize BS when they see it. People want to know they are dealing with someone who is trustworthy. It’s important to be transparent. With so many blogs available on the Internet, it’s not enough to have great content; you need to stand above the rest. Making your blog stand out above the rest is really not that difficult. If you found this post interesting and would like to delve further into the topic of blogging you might want to take a look at some my other posts on Blogging. 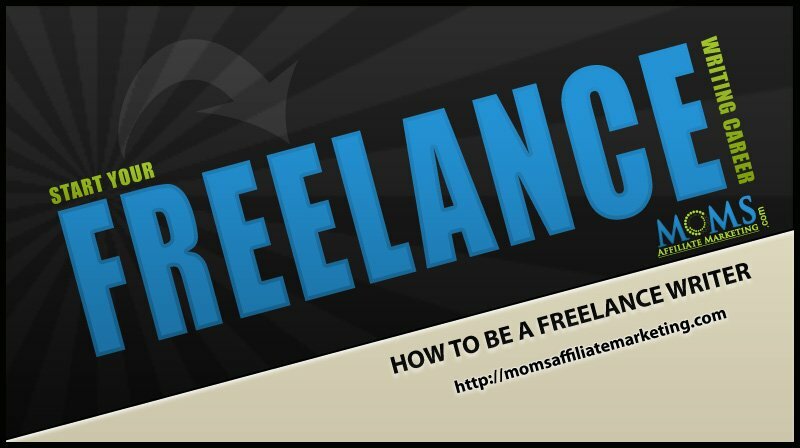 The idea for this post and Info graphic on How To Be A Freelance Writer came about when someone asked the question is it at all possible to make money writing online. When it comes to legitimate online jobs, becoming a freelance writer is probably one of easiest ways to earn a part-time income or better yet a full time income. Freelance writers usually work on an individual basis and can earn income from writing articles, scripts and even their own books. The internet is made up of content and when you think of it the majority of content is written. There are always businesses and blog owners that need content produced. Considering just that one fact you will find a vast amount of work available as long as you are willing to diversify your income by working with a number of publishers, blog owners, and businesses. Freelance writers have the advantage of working whenever and wherever there is access to a computer and internet connection. Two-thirds of freelance writers are self-employed and one out of four work part-time. This in my opinion is a great way to make extra money while going to school or as a side job while working at a full time job. I would also think that it is the perfect job for any stay at home parent who would like to make some extra money while looking after their family. The number one reason why most people do not become successful freelance writers is because they don’t take action but that goes with almost any business you start online. You need to take action to succeed. So the reason you are here is because you want to learn How To Be A Freelance Writer. So I put together this info graphic to give you some important ACTION STEPS to help you start your freelance writing career. Please include attribution to https://momsaffiliatemarketing.com with this graphic.